Legal methods to retrieve paywalled articles for free are on the rise, but better self-archiving practices could help improve accessibility. ISTOCK, SORBETTOOver the past year, major publishers began to crack down on illegal means of accessing paywalled articles for free. In November, the American Chemical Society (ACS) won a default judgement in its case against Sci-Hub, a pirate site for scholarly literature. ResearchGate, an academic social network where many researchers post their published work, also faced legal action—in October, the ACS and Elsevier filed a lawsuit against the site for illegally hosting copyrighted material. ResearchGate then moved to restrict access to 1.7 million articles. Free alternatives to these sites are on the rise. McArthur is among a growing group of individuals who have developed legal means of retrieving paywalled scientific literature for free. These tools—free browser extensions that provide access with a click of a mouse—leverage the growth of “green” open access, the practice of scientists publicly self-archiving their own published work. The Open Access Button was founded by McArthur and his team in 2013. Since then, a number of similar tools have entered the scene, including Unpaywall and Kopernio, which were both launched earlier this year. These plug-ins retrieve articles that are behind paywalls on publishers’ websites by scouring the web for legally available versions. 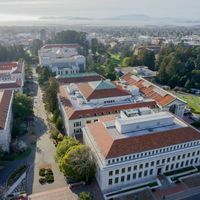 Sources include institutional repositories, archives hosted by university libraries, subject repositories such as PubMed Central and ArXiv, a preprint server for the physical sciences. Papers published on authors’ personal websites or academic social networks such as ResearchGate and Academia.edu, however, do not fall under this umbrella. This method provides readers with a significant portion of the scholarly literature for free—in a recently published analysis, the cofounders of Unpaywall reported that their tool could retrieve free versions of around 47 percent of the articles that users tried to access. Most major publishers, such as Elsevier, Springer-Nature, and the American Association for the Advancement of Science (AAAS), typically allow authors to post accepted manuscripts, which are peer-reviewed but not yet copy edited or typeset, on institutional repositories, subject repositories, and personal websites, usually after an embargo period that lasts around six to 12 months. 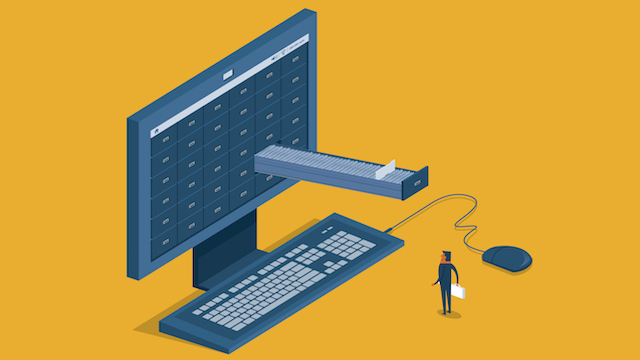 Although self-archiving is becoming increasingly popular, many scientists do not publicly share their work, even when journals permit it. In a recently published analysis of more than 3,000 global health-related papers published between 2010 and 2014, researchers found that approximately 60 percent of articles that could have been self-archived by authors were not. 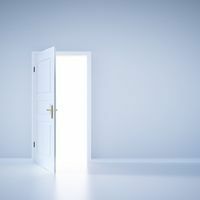 Research suggests that making articles publicly available can benefit authors—a number of studies have found that open-access articles tend to be cited more often than their pay-to-read counterparts. “It definitely pays off when [authors] take the time to post [their] articles,” says Heather Piwowar, the cofounder of Impactstory, the nonprofit behind Unpaywall. 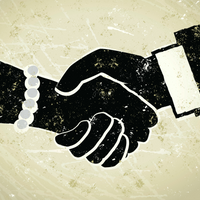 In recent years, publishers have started to create infrastructure to help ease the sharing process. In 2016, the International Association of STM Publishers launched “How Can I Share It,” a website that provides information about publishers’ self-archiving policies that includes a tool for researchers to enter their papers’ digital object identifiers (DOI) and automatically see a list of places where specific versions can be posted. Another publisher-led effort, CHORUS, is working to make papers that are required to be shared by funders (such as the National Science Foundation) automatically available on publishers’ websites. “Through this service, publishers are opening accepted manuscripts on our platforms automatically at the end of the embargo period,” says Alicia Wise, the senior vice president of Elsevier’s Global Strategic Networks. However, CHORUS currently provides access to a relatively small number of articles. According to the website, around 91,000 papers are currently accessible by the public—Unpaywall, on the other hand, can retrieve millions. Despite the efforts to increase access to scholarly literature, the fact remains that much of the published work still lives behind a paywall with no legal means of access. To address this need, some plug-ins have built in alternative methods for retrieving articles. 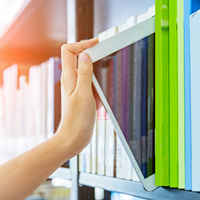 For instance, the Open Access Button allows readers to request articles from authors through their tool, and Kopernio integrates institutional subscription access for those who have it. Swoger points out that an important and often overlooked resource is the inter-library loan system available through both institutional and some public libraries. “Requests can come in as little as 24 hours—it’s not instant gratification, but it’s a free copy of an article where the library is taking care of any rights issues,” she adds.